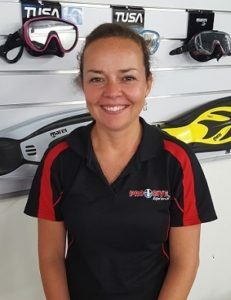 I started my dive journey 20 years ago, completing my Open Water Course back home in New Zealand. 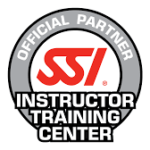 Inspired by my instructor and recognizing the benefits of the SSI system I continued my training through to instructor level and enjoyed many years working all around the world in both recreational and semi-commercial roles. The last six years have been spent training and developing new dive professionals through the SSI system and I now get to see them enjoying the lifestyle and experiences that becoming a dive professional brings! As a Cert IV Trainer I am able to teach government accredited courses including Workplace First Aid, Recreational Boat Licensing, Marine Radio Licensing, Shipboard Safety and Coxswains. 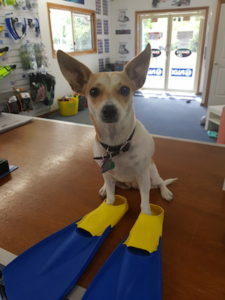 After getting bitten badly by the SCUBA bug I decided to quit the rat-race in London and have spent the last 6 years working as a Dive Instructor! Since then I have been lucky enough to work on the Great Barrier Reef, in Sydney Harbour and managed dive shops in the Fiji Islands. Despite having completed over 2,500 dives and having dived all over the world my favourite dive site is still the SS Yongala! 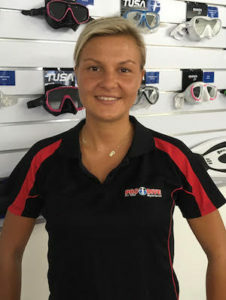 Driven by my love of the ocean, marine life, marine conservation, and underwater photography, I decided to turn my passion into my career in 2012 by becoming a Dive Pro! 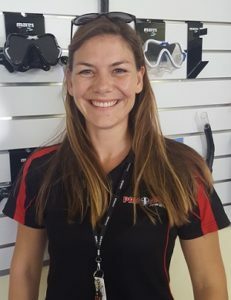 Being a dive instructor has enabled me to travel the world, make loads of new best mates, participate in marine conservation work and continue to do what I love – Explore the world underwater! For me, there is nothing I like more than to share my passion, and to motivate and teach new divers and dive professionals to appreciate this awesome environment! 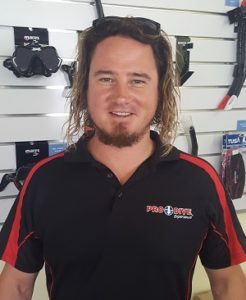 I learned to dive on Magnetic Island in 2012, and saw a poster for a Divemaster Internship, promoting an exciting new career and lifestyle, so I signed up straightaway with Nick. 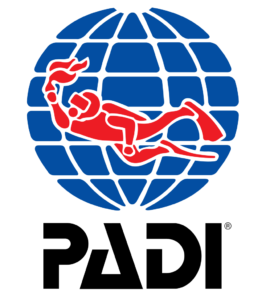 After achieving my SSI Dive Con rating I went on to complete 3 seasons working as an Assistant Instructor in Ios, Greece, which was amazing. 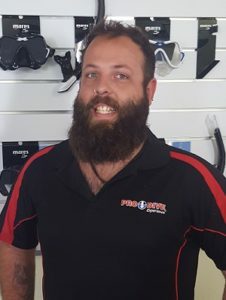 In 2016, I decided to take the next step and become a Dive Instructor back home with Pro Dive Magnetic Island. I love everything about diving and enjoy being able to share my passion with new and experienced divers! I was once asked if I could have any superpower, what would it be? To breathe underwater! And that’s exactly what scuba diving gave me, the ability to breathe under water, of course I’m still waiting to be able to talk to the fish, but one step at a time right? I began my diving journey four years ago with my open water course, and was swept into the magic and wonder diving has to offer. 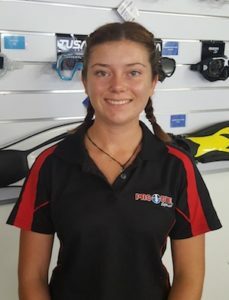 Ever since, it had been a dream of mine to pursue a career in diving, and Pro Dive has opened so many doors to explore my passion and gain valuable experience in this industry. I love seeing new divers emerge from the water with nothing but a huge smile, and an experience they will never forget. I started my diving adventure in Sydney, then continued in Cairns where the passion kicked in and on to WA. The more I was diving, I realized I didn’t want to go back to my office routine. 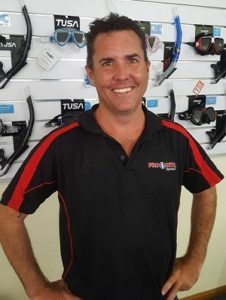 Then I heard about the Internship at Pro Dive Magnetic Island and not long after I completed my instructor course! So why do I love diving that much…? Because you never know what you might see. Because of zero gravity, no crazy working lifestyle, no phones. Because it’s completely different world separated from human living. Because no two dives are the same. I do have my 2 favourite spots though, the SS Yongala and Navy Pier are just mind blowing! Diving it’s not only an amazing activity, it also teaches how to face and overcome fears. That’s why I like teaching and see individuals with no prior diving experience achieving their goals of becoming divers. Every single smile on people’s faces after improving their skills or completing a course is unique and the most rewarding outcome ever for me as an instructor. Between me and diving it has been love from the first bubble, or maybe second…, and I always try to pass this passion and love along to my students so they can feel the same way. After diving for 4 years up and down the Western Australia coast and throughout Indonesia and Thailand, I decided to move back home to Magnetic Island and pursue a career in the industry that stole my heart. My passion is in underwater photography, particularly macro photography. I love the little critters and my greatest find was a pygmy seahorse when i was diving in Amed. My favourite dive site varies after every dive as i always find something that makes each dive special to me. I would love to go to the Phillipines and go diving with the Thresher sharks. Its really rewarding getting new divers interested in the sport and seeing the excitement on their faces.